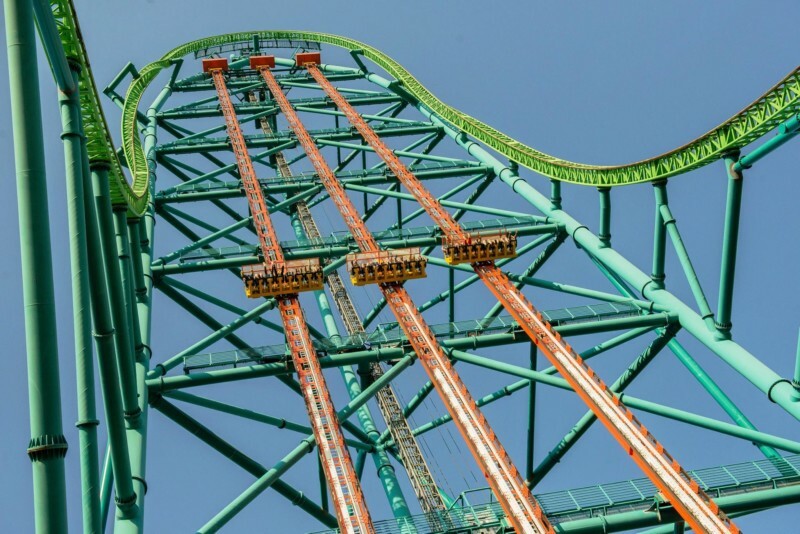 Jackson, NJ, USA (July 4, 2014) — Six Flags Great Adventure today unveils this year’s most anticipated extreme ride, Zumanjaro: Drop of Doom―the world’s tallest and fastest drop ride. The launch commemorates the park’s opening weekend 40 years ago during the July 4th holiday. “We are thrilled that such an incredible venue is in New Jersey to provide unforgettable memories for so many visitors each and every year,” said New Jersey Lt. Governor Kim Guadagno. The name “Zumanjaro” was inspired by the African influences of Safari Off Road Adventure, the attraction that combined Six Flags Great Adventure and Safari into the world’s largest theme park in 2013. Safari Off Road Adventure takes guests on an exhilarating, interactive and up-close journey that features 1,200 animals from six continents including elephants, rhinos, tigers, giraffes, lions, bison, kangaroos and more.